When we plan out time in the great outdoors, we tend to have this very bad habit of not taking everything into account when planning ahead for it. While we do make sure to cover all the seemingly important aspects, like food and water, we often leave out some of the details that might seem minor but often times end up ruining the whole experience. 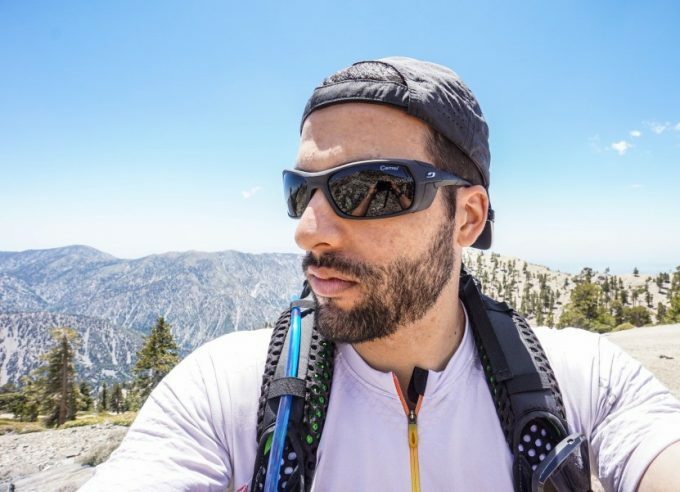 Take sunlight for example, which has a lot of ways to torture out eyes at its disposal, however, we rarely stop and think to ourselves “What are the best hiking sunglasses for me?” until the very last moment. 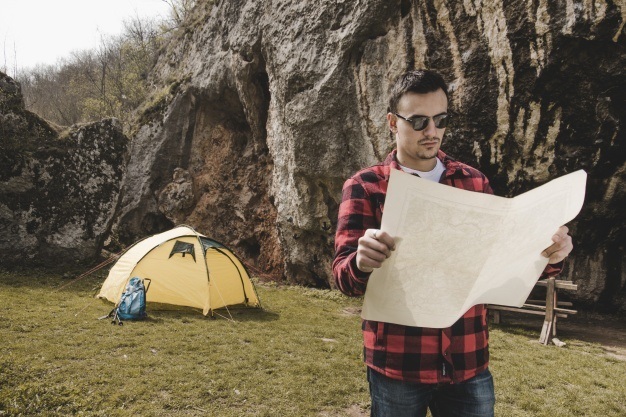 This usually occurs on the way to the actual hiking trail and by that point it is already far too late to do proper research, browse all the shops, weigh your options and decide on the best one for you. We all know the aftermath, what happens when sunglasses fall short and don’t really live up to the expectations. We all know what it is like to deal with the glares and shines, trying to curl your eyebrows forward to bridge the gap between it and the shades. We all know what it is like to squint behind the lenses in order to block some of the light reflected right off the rocks or snow on the ground. We all know these things and yet we still leave the sunglasses until the very last moment. That is, of course, until now, where we will look at what it takes to find the best pair of shades as well as which one is the best one for you. When discussing the shape and fit of a pair of sunglasses, we must first take into account the shape of the wearer’s face. This is not for the purpose of complimenting your style and apparel, but more for the purpose of finding a pair that does a proper job. The first thing to look at is the overall shape of the face. If you have a rather bug and robust face, you will want to go with big robust glasses, and vice versa for when you have a small face. Next on your list are your cheeks, the cheekbones in particular. If the cheekbones are well-defined and pronounced, you will want to go for a pair of shades with the bottom of the frame rounded out. Another thing to mention here is that you should aim for a pair with the lenses slightly curved as well so that you can get full shade coverage. If the cheekbones are almost non-existent or covered by the actual cheeks, you will want to go with a square or sharp frame. This time, though, instead of slightly curved lenses you will want to make sure that the bottom of the lens are either arched or a bit skewed outwards. Next thing to look at is the nose. The fact that it is the main point of support for the sunglasses does not exactly make your life any easier. The area that you will be most interested in is the very bridge of the nose, where the bridge of the sunglasses will be sitting. A more pronounced and thick bridge can prove to be a lot more sweaty and prone to chafing, while a thinner one is a lot more difficult to fit the frame and lenses for. With that in mind, you should remember that the thicker the bridge is, the softer and thinner the bridge of the frame should be. While at the opposite end of the spectrum, the thinner the bridge of the nose it, the more support the bridge of the frame should have. In this case you should consider looking for frames with little rubber support feet underneath the bridge of the frame. One last thing to look at is the shape of the eye sockets themselves and what their defining features are. Remember that the overall goal is to cover the entire area and prevent as much unaltered light as possible from entering that area, so this bit is actually crucial in order to make sure that you get the right lenses for the job. A more pronounced pair of eye sockets with strong eyebrows demands a wider pair of lens, meaning that the length of the lens should just about reach the cheekbones while the width should easily pass them. A softer look, with less pronounced eyebrows and eye sockets, is best matched with symmetrical lens. These are the base guidelines however custom requests and needs can also be applied to them, depending on the wants and needs of the wearer. One important exception from these guidelines, however, is the visor, which is designed to cover the vast majority of the upper half of the face, without actually taking the traits and features of the face into account. 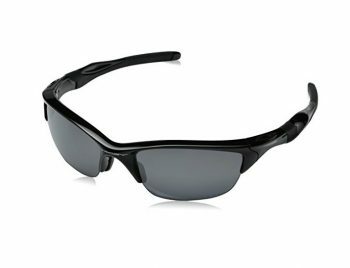 There are a lot of types of sunglasses out there, ranging from the simple plastic ones to the most advanced multi-layered ones with the latest and greatest in reflection averting technology. It goes without saying that these sunglasses all have their uses and the specific environments and conditions in which they shine, however you will have to figure out your needs first in order to figure out what to go for. 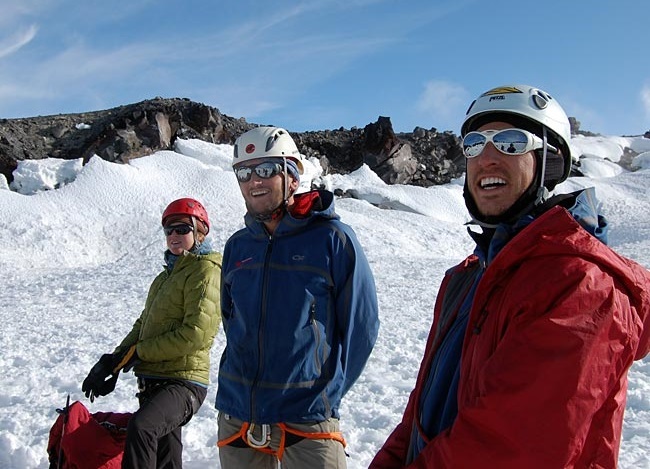 Start by looking at your preferred outdoor activity and how exposed to the sun and intense light you are. What kind of environment am I going in? How covered is the area going to be? How much shade will it be? Will I have to deal with intense heat? Will there be a lot of reflections like off of rocks, the ground or snow? What time of day will my outdoor activities be taking place? While it might be easy to simply go for the most advanced and up to date pair of sunglasses out there, you are actually taking a large risk by doing so. Knowing what, where and how these sunglasses will be used makes it a lot easier to pick out the ones that are right for you, providing as much comfort as possible without altering your view too much. The only exception here is the case of prescription sunglasses, in which case you will have to somehow make due with what you can have. Another bit of advice here is to not be surprised when you see that the sunglasses themselves, including the frame, are made out of lightweight plastic. This is because the last thing you want is metal on your face in environments where thetemperature might be an issue. 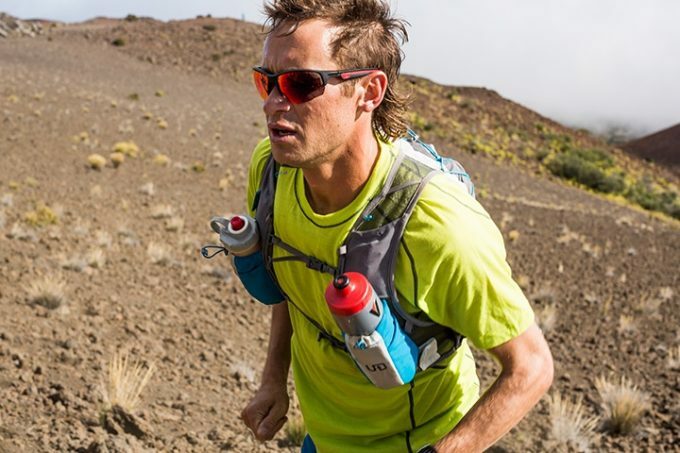 Plastic is by far the most comfortable material that these sunglasses can be made out of, without running the risk of thermal discomfort, like in the case of metal. On one hand, sure they might feel cheap, but on the other hand, the vast majority of them are made out of durable high-density plastic, usually coated with a layer of strengthening and curing agent, which makes them quite strong and resistant to physical shock. There are 2 kinds though. First the light plastic frames, which are designed for warm and excessively warm climates, making it easier to wear the sunglasses without having to deal with sweat and thermal discomfort on your face. Second, the thick and slightly heavy (for sunglasses) plastic frames that are designed for more colder and even freezing environments in order to be worn without having to deal with the rigidity and other crippling effects that extreme cold has over plastic. Next up is whether or not the lens themselves should be UV treated. This one is fairly simple to figure out because UV treated lens manages to stop the whole UV spectrum from hitting your eyes, while the non-treated ones don’t. The vast majority of people prefer UV treated lens. Another thing to think about is the number of lenses that the sunglasses should have. This one is a bit more tricky because by a number of lens we mean the number of layers that go into making a single lens for the sunglasses. Let’s simplify it. A pair of sunglasses with one lens (lenses made out of a single layer of plastic each) is a casual pair, usually worn on mild sunny days in the countryside. A pair of sunglasses with 2 lenses (lenses made out of 2 layers of plastic each) are usually worn by professional athletes, extreme sports enthusiast and athletes during the Olympic Games. 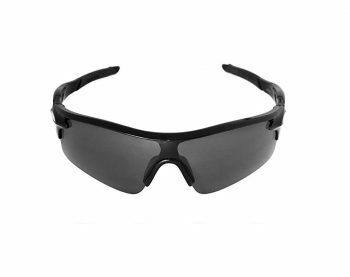 A pair of sunglasses with 3 lenses and above (lenses made out of 3 or more layers of plastic each) are considered military and even industrial grade, depending on the configuration of the glasses themselves. One last thing to consider when choosing your pair of sunglasses is their portability. You will be traveling every now and again as well and in most cases, you will not be needing your sunglasses while traveling. 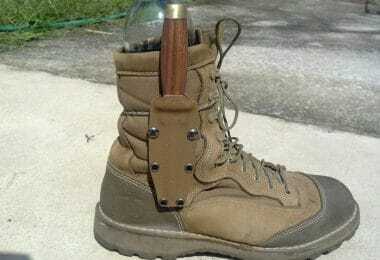 Sometimes a holster, a case, anything to keep them safe and protected while in a suitcase can be a more than welcome feature. Not to mention the fact that sunglasses are easy to lose when worn loosely and precariously on the side of the bag, at the collar of the shirt, even on the top of the head, so having a small protective container in which to put them will allow you to store them without worrying about damage or losing them. Now that you have a general idea of what you are looking for as well as how to find a good pair to fit you and your needs, let’s look at some of the more popular choices on the market. 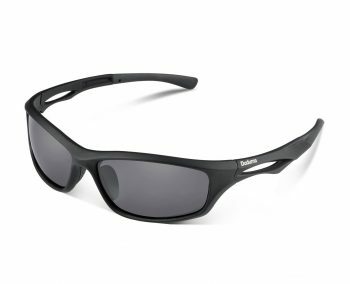 These Julbo Trek are some great glasses for leisurely hikes and outdoor adventures. 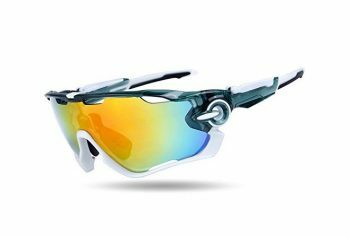 They work great in heavy lighting conditions due to their photochromic lenses which change color, growing darker the more intense the light is. This is a great way to balance out the lighting levels and maintain a comfortable view for your eyes to enjoy. Another thing to keep in mind is the fact that the lenses are polarized, which makes them able to counter glaring and reflections by focusing the light which causes them in a spot outside of our direct field of view. 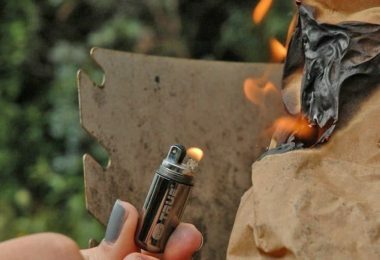 While this effect is widely appreciated by everyone that has to deal with these effects, from outdoorsmen to athletes to military personnel, it can still be a bit challenging to grow accustomed to it. Expect slight discomfort in the first few hours of use. These glasses also come with a wide variety of accessories like a sweat guard, bag, cleaning cloth, strap as well as an assortment of extras that can be purchased independently. As long as you make sure that these sunglasses don’t endure too much punishment because they are made out of lightweight plastic, after all, you will have a nice comfortable pair of shades to enjoy. 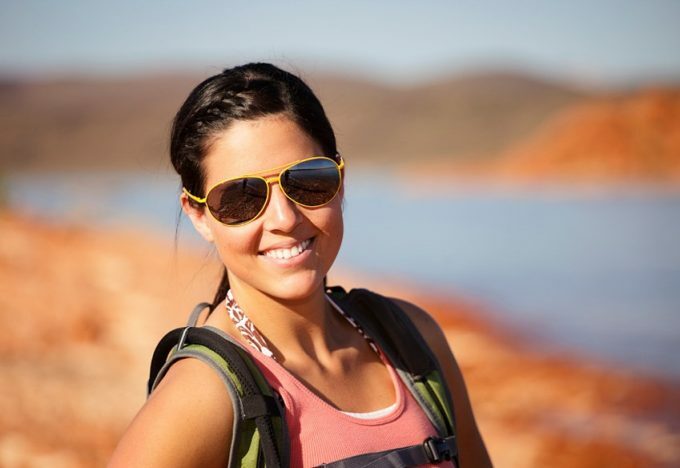 Among all the pairs of sunglasses currently on the market, Smith Optics Pivlock V2 Max are among the simplest looking ones, meaning that they can easily be matched with more or less every outdoors outfitout there. A great bonus is the fact that the major support points on the frame are adjustable, which makes them able to accommodate some of the most demanding and difficult face shapes out there. The biggest and most important features that these sunglasses have are their lenses, which are coated in a hydrophobic coating. This means that if it starts to rain while you are wearing them, the water droplets will roll right off of them without leaving behind a trail of water and impairing your vision. 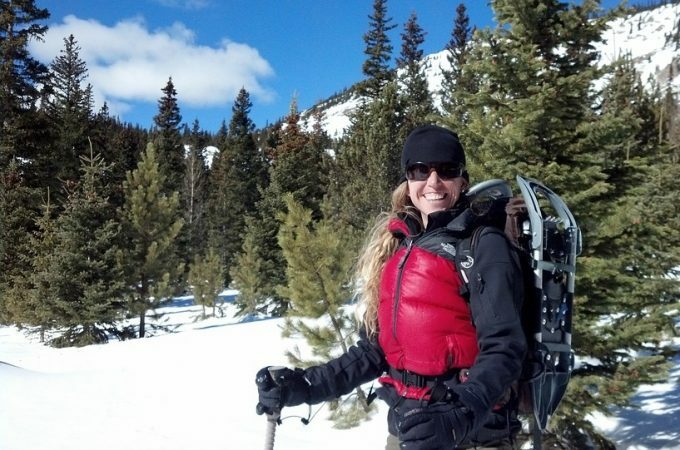 While they do eliminate one of the biggest grievances that people have with eye-wear in general, that being how they handle precipitation, they bring another problem to the table, their endurance. Their design is a simple lightweight one, relying on the lenses to take on the full weight of the glasses, rather than an actual frame. This means that transporting them and maintaining them can be a bit tricky. Luckily there are some products available on the market that allow you to do that, however they are sold separately. 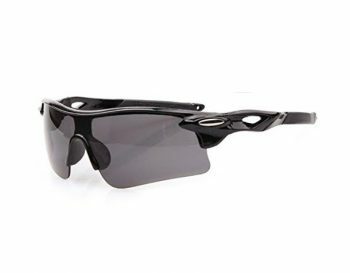 Oakley sunglasses are well known far and wide and for good reason, they make some of the best pairs of sunglasses out there. 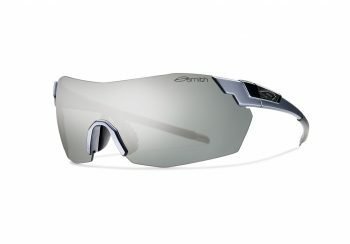 The Oakley half Jacket 2.0 does no shy away form their standards and for good reason. The lenses alone meet almost all the requirements that might pop up. They are polarized, UV-treated, coated in Iridium and photochromic, meaning that they have a lot of mechanisms to combat sunlight and its effects. This is not without its strings though, because the lenses themselves tend to be a bit fragile so maintenance cannot be performed using anything on hand. You will need special microfiber cloths in order to not scratch the lenses of their coatings and you will need to be careful not to expose them to excessive dampness or dangerous substances. The frame itself is rather solid, being made out of high-density lightweight plastic, it is able to take quite a bit of punishment without running the risk of breaking. 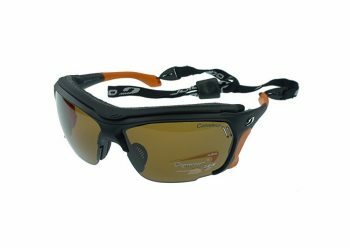 The Duduma Sports sunglasses sre a relatively new arrival on the market, however, the sunglasses that are offered are rather interesting. The main selling point of these shades is the fact that they can block the vast majority of UV and UVB rays which is true due to the UV treatment that the lenses received. The frame is apparently made out of durable lightweight plastic which is designed to be flexible enough to be easily worn while at the same time durable enough to take the punishment that comes with outdoor activities. The shape of the frame, particularly the arms, make this pair of shades slightly uncomfortable to wear for very extended periods of time, upwards of 14 hours in one sitting. A special area that you have to be careful of when dealing with these shades is cleaning them. It is heavily recommended to not use paper towels, toilet paper and anything other than microfiber cloth. Detergents and cleaners should also be avoided. What makes Open Road Lightwei sunglasses stand out is the fact that they are, above everything else, simple. Everything from the frame to the lenses is simple and easy to maintain. To make things even better, it also comes with its own travel bag and case. They do a good job protecting your eyes from the UV rays and the negative effects of sunlight, despite the fact that they are not polarized. 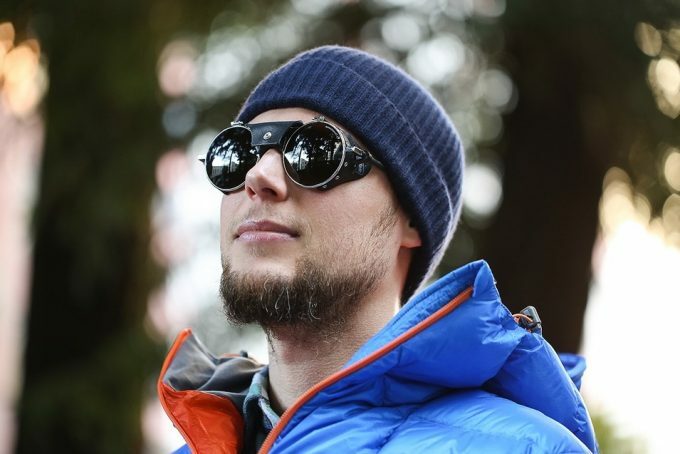 Another great thing about these glasses is that, unlike most of the ones on the market, they are easy to wear while wearing hats, caps and helmets, making them very versatile especially for winter hikes and mountain climbing. The thing that these sunglasses cannot do is be pushed. You cannot really take on the worst of the worst conditions with them and you cannot do things like avoiding all the reflections. You can certainly mitigate the vast majority of them and make things a lot more comfortable for yourself than without the shades, but taking them completely off the table is not an option with this pair. 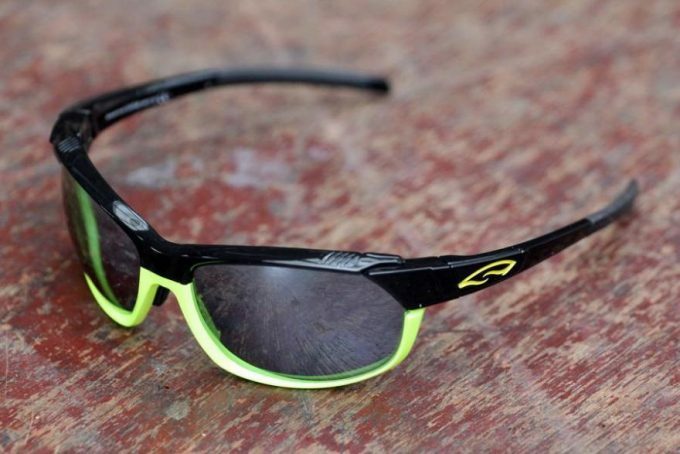 Just by looking at these Julbo Vermont sunglasses you can tell that they are not your average pair of shades. While they do go against the grain in terms of design, opting for a more vintage / steampunk look, they also keep the best interest of the wearer’s eyes in mind. 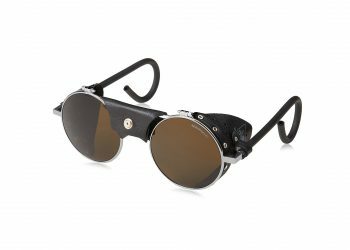 The frame is made out of light plastic however it is reinforced with leather inserts for added strength and looks, as well as leather sides for the lenses so that light cannot go around them. If they tend to remind you of goggles it is because that was what the general design is set on emulating, the lenses going against it by first off being made out of glass instead of plastic. This not only helps the light pass through without creating issues but also helps the eye adjust slightly better while at the same time giving the wearer a better more robust feeling. While it is true that the lenses are not polarized, they still do a very good job at protecting your eyes because they are made using 4 lenses, meaning that their level of protection is actually very high. 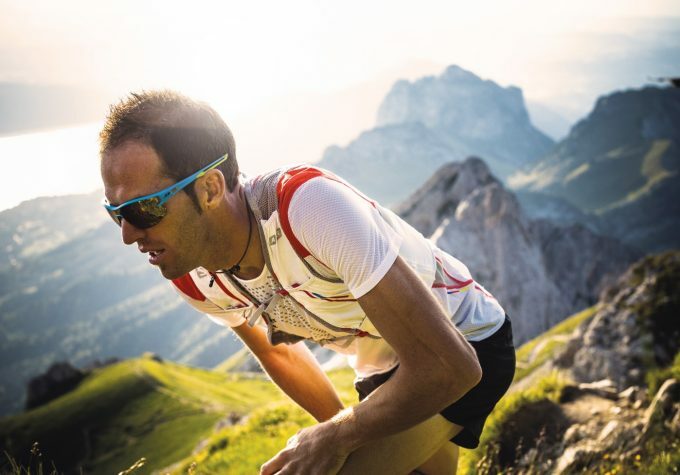 The J+S Active PLUS are not your average sunglasses, they are actually a stronger and more advanced version. Strength and endurance were the words of the day when these shades were designed and manufactured because even though they might not look like it, they are built like a tank. Indeed these sunglasses were created to take a beating, and the first thing that hints towards this is the actual frame. While it might not be much to look at, it is made out of cured and treated polycarbonate, which is a much stronger mixture of plastic. So it has the rigidity that it needs to endure the blows that it gets from harsh and unforgiving weather conditions while at the same time being flexible enough to not break and be comfortable to wear. The lenses are also a nice indicator of this because they are made out of the same material as the frame, with a couple of minor tweaks. While strength is this pair of shade’s forte, when it comes to protecting the eyes from light, it barely makes the cut. It might not be polarized, it might not be coated with iridium, but it is UV-treated and it does a very good job of deflecting them and keeping the eyes safe. All in all it is a very good choice for activities like cycling and other strenuous outdoor sports because it is impact-resistant and if it were to fall off the chances of damage would be very low. These F-sport 2016 sunglasses are known to combine the best of both worlds, bringing both high strength and performance to the table. The frame itself while it feels like it is made out of thin plastic, it is actually incredibly resistant to the point where some have gone to call them unbreakable. A great hint of that can be found in the hinges which are made with reinforced polycarbonate lining to protect them from physical shock. The lenses are a different story and this is because it comes with 3 different sets, polarized, clear, colored, all f them being UV-treated and capable of stopping the nastiest of UV rays. If this was a single pair of lenses they would be too dense and too bulky to be comfortable on their frame. Having them split into a set of 3 different lenses makes it easy to choose and plan ahead while at the same time saving up the lenses that we do no use and keeping them clean for when we do. It is often accepted that the style that these glasses are emulating is not for everyone. In fact there are quite few people that would find it acceptable, yet at the same time they manage to bring a whole new layer of functionality to the table. 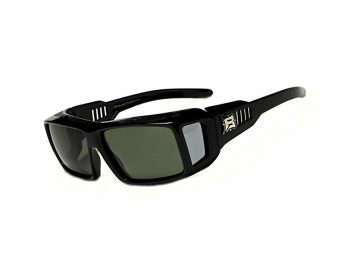 These Barricade Hillcrusher sunglasses are among the few pairs that can also accommodate prescription lenses without having to compromise. This is because these sunglasses themselves are prescription made, with the lenses already built in them, treated and polarized in order to turn corrective glasses into sunglasses. Besides making things a lot more comfortable for people that have to wear glasses, these shades also help by bocking the sides of the eye socket with their frame design. All in all, it is a great pair to have if you are tired of having to swap glasses around and compromise. There is quite a lot of thought that goes into buying the right pair of sunglasses. 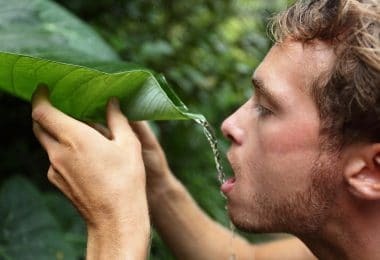 If you do your research, analyze your face properly and know what you are about to face in the great outdoors, then things will be slightly easier when the big choice has to be made. 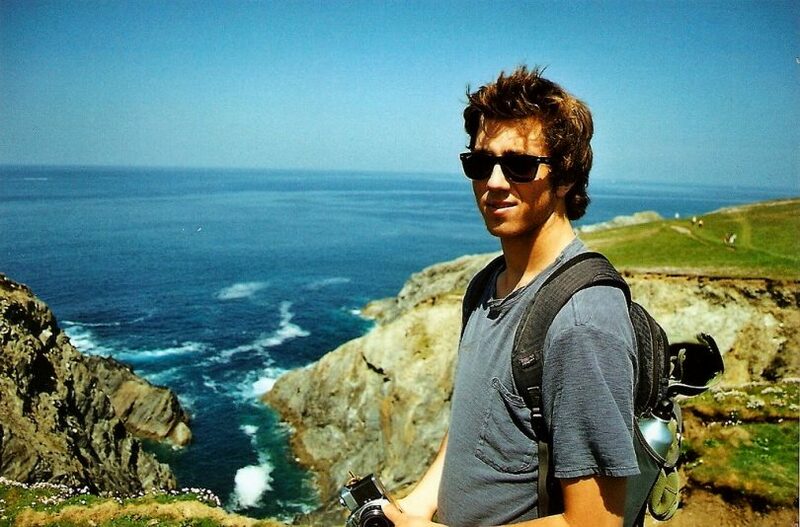 While it can be daunting, considering all the products, all the extras and everything that you can choose from on the market, with a clear head, a clear goal in mind and proper planning time you will be able to find the right pair of shades for you which you can enjoy fir years and hikes to come.